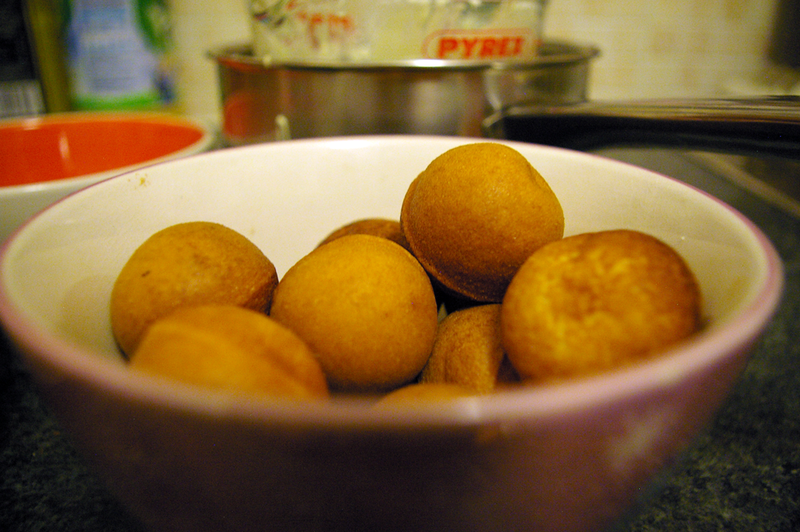 So the cake pop machine I got for Christmas was a Sweet Treat machine , it makes 6 cake spheres at a time. 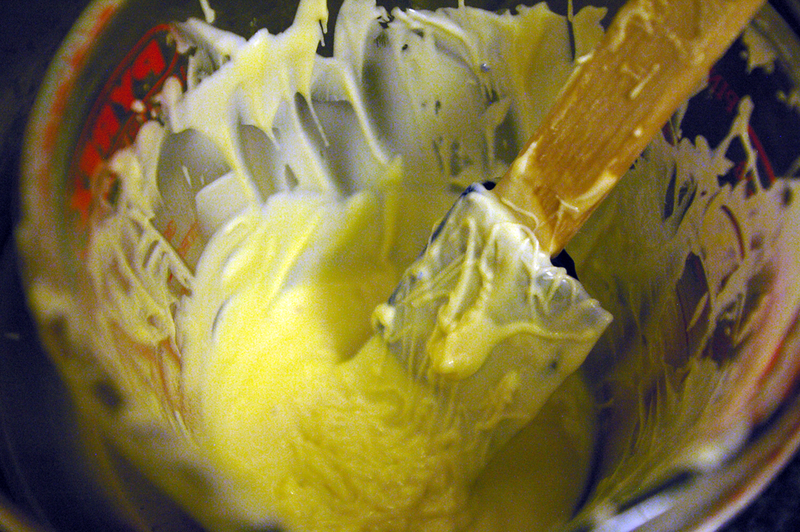 For the batter I followed the Hummingbird Bakery vanilla cupcake recipe (I have the “Cake Days” app…love it! 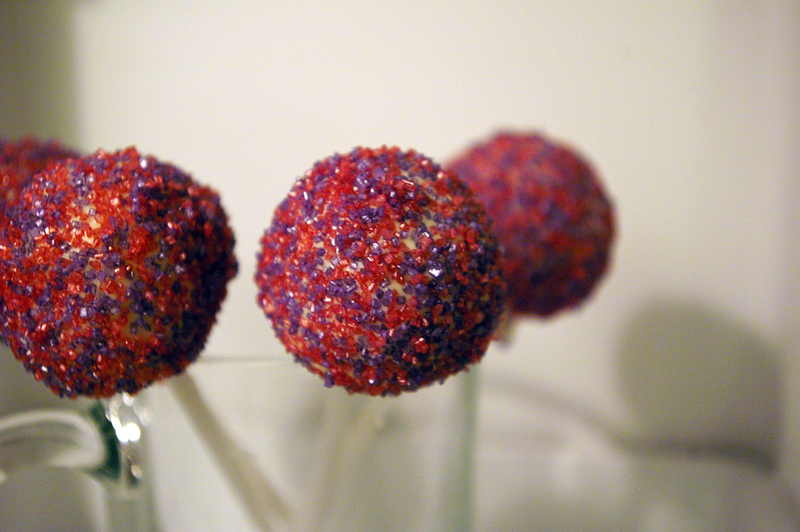 )- I make 35 ish cake pops from the batter with plenty left over. 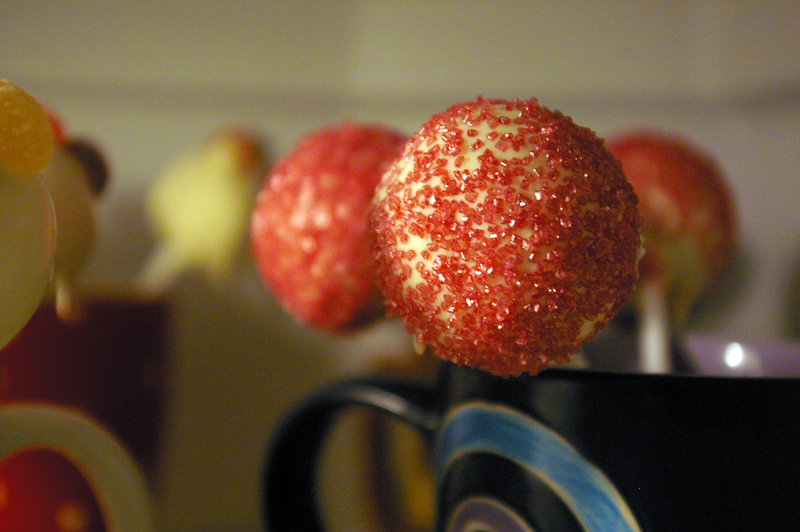 1tbsp of batter per cake pop and I left it to cook for 6 minutes (rather than the recommended 3 minutes). 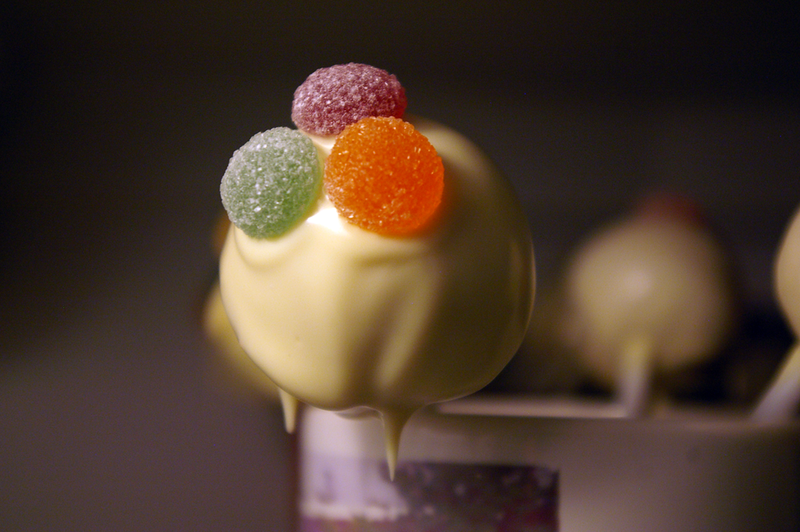 After cooling them in the fridge for 30 mins , and with the ball on a stick I dipped them into melted white chocolate and left them to drip for a short while before adding decorations. 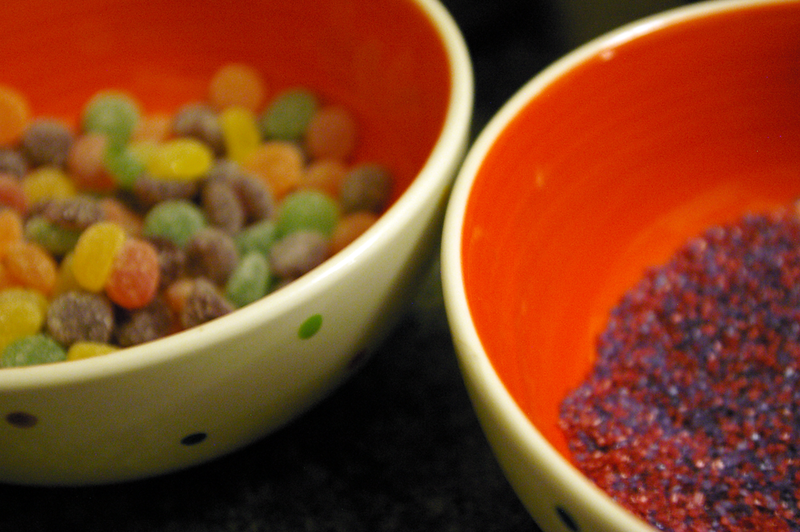 They were kept in the fridge to harden overnight. 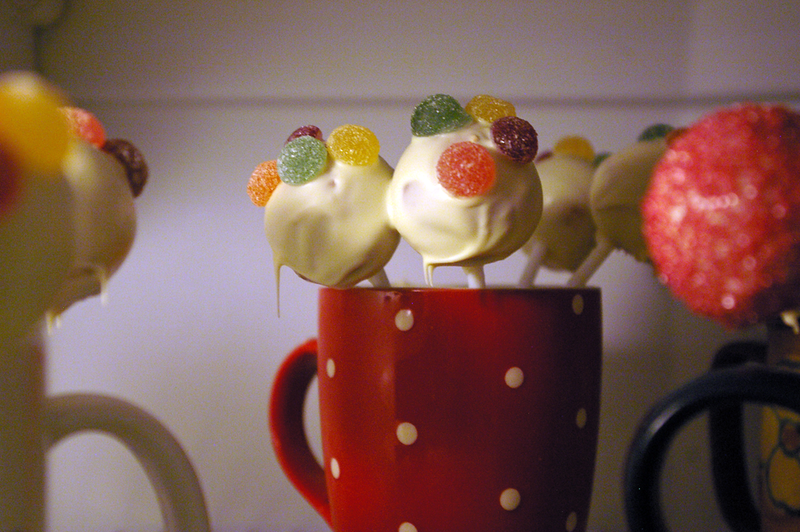 Notes to improve: I definitely need to get some sort of cake pop stand as setting them in my mugs does not suffice, also need to find better storage for transport as it has proven rather tricky! 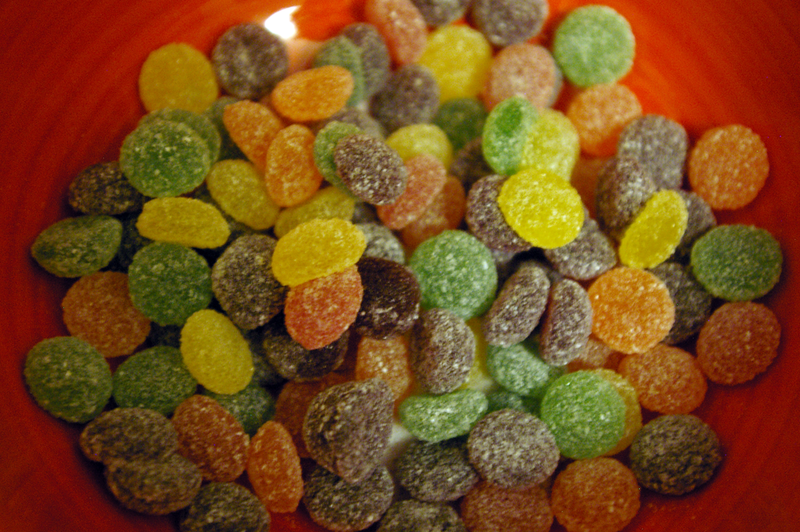 This entry was posted in baking and tagged baking, cake pops, food, how to make cake pops, sweet treat. Bookmark the permalink. I’ve never heard of a cake pop machine.